Sephora has a new deluxe free sample offer! 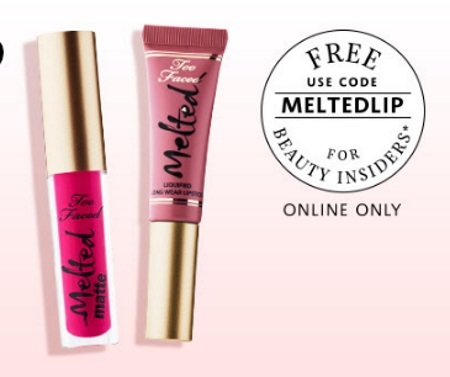 Get a Free bright matte pink or glossy mauve when you choose a mini liquid lipstick from Too Faced! Enter the promo code MELTEDLIP at checkout with any $25 or more online order. Offer is available for a limited time.